Harlequins are swift, deadly, and elegant. Followers of the Laughing God, they appear first as streaks of multicolored light then as the sudden deaths of their foes. With blistering speed and incredible melee power, Harlequins are a fun and excellent army. If you want to collect Harlequins and are new to the hobby, or this faction in particular, this is the guide for you. This guide will not provide information about how to paint Harlequins, but instead will explain how to muster a basic 1,000 point army. Since as of the time of the writing of this guide (August of 2018) there is no Start Collecting box for Harlequins, this can be a daunting task for a beginner. In absence of a Start Collecting! Harlequins box, we have to make our own way. So, here we go! Harlequins are very fast, they have good melee power, and excellent maneuverability with their Flip Belts. However, they have no significant long range shooting, nor do they have durability other than their holo-field saves. 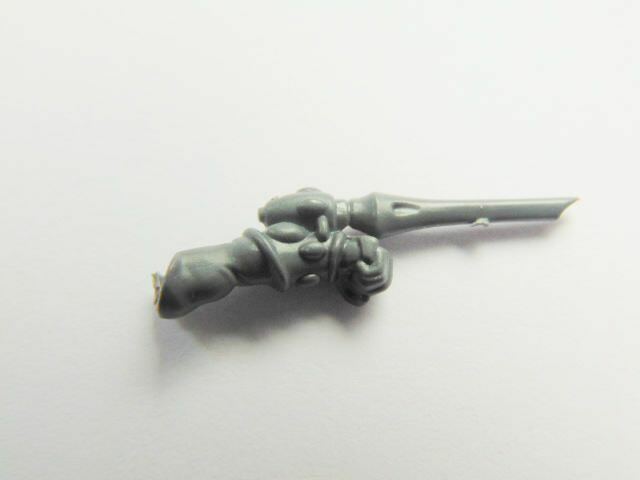 Coupled with the high points costs of Harlequins units, this makes them something of a glass cannon. Though, with the finesse required to command them properly on the tabletop, a glass dagger might be a more apt description. The core of any Harlequins army is the Troupe, a unit composed of Players. The basic Player has an excellent melee profile - fast, accurate, and with a large number of attacks. Although a Player is hitting at low strength by default, the various melee weapons available mean that this isn't a problem. Most Harlequins armies should focus on taking Troupes, outfitting them with good melee weapons, and getting them into close combat with the enemy. Though there are other ways to play Harlequins, this is the most direct and (in my opinion) fun way to play them. In this guide, the use of Harlequins characters, vehicles, and bikers will be only in support of the Troupes. Every Player has a melee weapon and a pistol. Generally, every melee weapon should be a Caress or an Embrace. Every pistol should be a Shuriken Pistol, though a couple Fusion Pistols per squad is a solid choice. The Harlequin's Blade is not useful for our purposes. Each Player has a large number of close combat attacks, and we pay a lot of points for that privilege. Upgrading them is a high priority. If you have exactly enough points to take 1 more Player with just a Harlequin's Blade, then that may be what you have to do from time to time. Some lists also focus on shooting with pistols and don't pay for melee upgrades. That's not for us, though. The Harlequin's Caress and the Harlequin's Embrace are excellent general-purpose melee weapons. They're highly effective against just about every infantry unit in the game. That being said, the Embrace works slightly better against enemies with lower toughness and higher saves, such as a Tau Firewarrior, whereas the Caress works slightly better against enemies with higher toughness and lower saves, such as an Ork Boy. Although both are fine choices, it is slightly easier to convert the Caress, and they are pretty similar in performance. The Harleqin's Kiss is basically the hero-killer weapon, and trades off performance against typical units for performance against multi-wound units. It is solid against models with multiple wounds, particularly if they have either bad saves, or a save that is close to their invulnerable save, such as Terminators with Storm Shields. This is a weapon that does not need to be included in a 1,000 point list, but is solid on a character hunter. Grenade Note: Players tend to have Plasma Grenades. One model in each squad may throw a Plasma Grenade, and a Plasma Grenade always outperforms a Shuriken Pistol shot. When firing pistols, check to see if any Player is in range to throw a grenade, and have one throw a grenade if possible. Pistol Note: Remember that you can shoot these if you are locked in combat during your shooting phase. The Shuriken Pistol is one of the best standard infantry pistols in the game. And the price is right. Most Players should have one of these. The Fusion Pistol only operates point-blank, but when you can fire it, it is possibly best pistol in the game available on any Troop-class unit. This thing can take down a hero in one shot, a few of these can crack open a tank, or you could just completely obliterate a marine. Including a couple of these in each Troupe is a solid choice. Expensive. The Neuro Disruptor is a bit of an odd duck. Within 6 inches, the Fusion Pistol outperforms it against any target, while being cheaper. If you cannot get into Fusion Pistol range, this compares favorably to the Shuriken Pistol, particularly against multiwound infantry. It is not, in my view, worth the cost. A Fusion Pistol is a better choice if you wish to upgrade a pistol. There are few basic principles to Harlequins lists, particularly at the 1,000 point level, which this guide is aimed at. Following these guidelines will not guarantee success, but will result in a reasonably competent list. Every Troupe should ride in a Starweaver. Yes, there are other ways to get Troupes into melee. They tend to be finicky and rely on expensive support units or CP expenditure. A Starweaver is simple and gets the job done, and can charge in to absorb overwatch for your unit. It also has enough room for 5 Players and a character, or 6 Players. Every Player should have an Embrace or Caress. Some may take Fusion Pistols. Covered above. Basically, you pay through the nose for that melee prowess, so make sure they have the tools to justify the price. Avoid overspending on Fusion Pistols. The 5-Fusion, 5-Caress squad may sound like a good idea, but it is ruinously expensive, points-wise, and you will find the default box does not come with enough Fusion Pistols to make this happen without a difficult conversion. Take as few characters as possible, and pay as few points for them as possible, except to upgrade to an Embrace or Caress, and to add a Fusion Pistol. One temptation Harlequins players face starting out is to run an army with 2 Troupe Masters, a Shadowseer, a Death Jester, the Solitaire, and - oh, look, we have already spent hundreds of points and have almost no bodies! Until you go past 1,000 points, you need to focus on getting bodies on the table with good swords in hand. A specialist character hunter like the Solitaire is a fun unit, but he will not have a big enough impact in a 1,000 point game to be worth what you give up to take him. Take a couple Troupe Masters and call it a day. Masque: Frozen Stars. Paint your Harlequins how you like with your checkers pattern, people do not pay a huge amount of attention to the Masque paint schemes. Interestingly, Frozen Stars is one of the few Masques that does not canonically have checker pattern decorations. This masque is chosen for its simple and effective Masque Form. Take a Patrol until you have enough points to afford 2 Troupe Masters, 3 Troupes, and 3 Starweavers, adequately equipped. Then, take a Battalion. This is pretty straightforward. The Harlequins army relies on the Troupes, and the Troupe Master's Choreographer of War ability is incredibly strong. You may be tempted to take a Shadowseer instead of a second Troupe Master. The Shadowseer is an effective and powerful spellcaster, but is quite expensive and benefits from a larger army to work in. To simplify things for this guide, he will not be included. These principles are all subject to your discretion, particularly at higher points values, but most commonly when you are in a scenario where you list is just 75 points short of the mark and you want to squeeze in some extra value - say, by adding some extra fusion pistols, or splashing in an extra Death Jester, or what have you. These are not to be followed dogmatically, but are just guidelines that produce reasonable results. The list I have assembled here follows these principles, though included is one unit not discussed here, a unit of 2 Skyweaver Jetbikes, outfitted for tank hunting and melee support. The Skyweaver Jetbikes' Haywire Cannon is a powerful anti-tank gun, and armed with a Zephyrglaive they can contribute to assault in a pinch if need be. Conveniently, the entire unit comes in around 100 pts, does not need a ride in a Starweaver, and comes in a box together, making it a good choice to round out a list. This list can be made with 3 Harlequin Troupe boxes, 1 Skyweavers box, and 3 Starweaver boxes. I will explain how to construct the models below the list. I have gone against my rules a bit here already and included a 3rd Troupe Master. Like the Skyweavers, he is an addition that has happened because there is not enough room in the list to fit a fourth Troupe in a Starweaver. If you slightly underequip the fourth Troupe, you could swap out a Troupe Master and the Skyweavers for it, but this seemed a bit more elegant and a good way to include the Skyweavers box. Otherwise, this list is very simple. Each Starweaver has a well-equipped Troupe and a Troupe Master in it, ready to streak at the enemy in the first turn and unload the Harlequins in the second. The Skyweavers provide support via charging in to help or picking off vehicles. Making our Troupes and Masters out of these boxes is a little bit of work. Each Harlequin Troupe box contains 2 Fusion Pistol bits, and the bits required to assemble either 6 Players or 5 Players + 1 Troupe Master. This is why the list only contains 6 Fusion Pistols - 2 per box from 3 boxes makes 6. For our army, each box will be assembled into 5 Players and a Troupe Master, with the Troupe Master getting one of the precious Fusion Pistols, and the other Fusion Pistol going into the squad. The box comes with enough Shuriken Pistol hands to outfit the other 4 players who want Shuriken Pistols. As you can see, it is simply a bulb attached to the wrist. The Harlequin's Kiss is a bulb with a cone, then a funnel attached to it. After that, sand and file appropriately, and you have a Caress. Using this method will allow you to get 6 Caresses out of a Harlequin Troupe box. 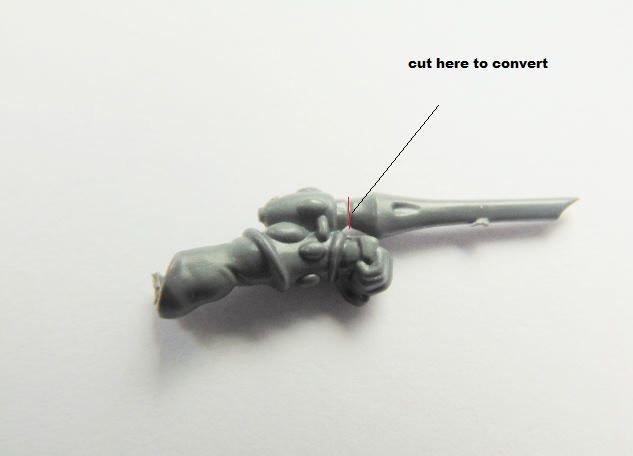 The Starweaver Boxes are very straightforward and will require no conversion to work properly. Make sure to read the instructions carefully so you know you are assembling Starweavers and not Voidweavers, as the box can make either. For the crew members who hang off the side of the hull, I like to paint them seperately then attach them. The Skyweaver Box contains all the required bits and will require no conversion to work properly. Make sure to attach the Haywire cannon, which is the cylindrical gun with the bulb on the end, and not the Shuriken Cannon, if you wish to make this list. Each Harlequin Troupe box costs 40 USD/24 GBP, each Starweaver box costs 41 USD/25 GBP, and the Skyweavers box costs 40 USD/24 GBP, for a total cost of 283 USD/171 GBP to get your (almost) 1,000 point Harlequins army assembled. This is not as simple as a Start Collecting box, but this should provide you with a good amount of variety and allow you to play the game. By buying 3 Harlequin Troupe boxes, 3 Starweaver boxes, and 1 Skyweaver box, you can assemble a Harlequins list that is easy to get off the ground, fun, and effective for a 1,000 point game. There are a few principles to basic Harlequins list-building that are worth learning, though these all bend as you get to bigger points values. Expanding a Harlequins list beyond 1,000 points adds a lot of opportunities. 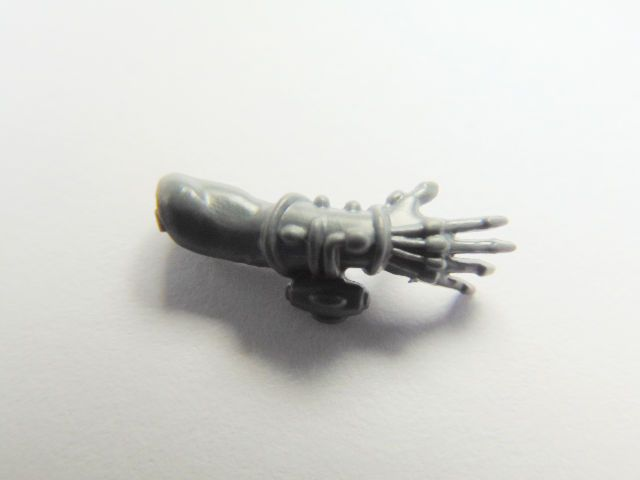 More Troupes, maybe dedicated drive-by Fusion Pistol squads, support characters like the Shadowseer or Death Jester who are more effective when they have a larger army to work with, character hunters like the Solitaire who are loads of fun, the fire support of the Voidweaver unit, or even allying in other Eldar. Craftworlders with long range fire support are a solid choice. Once you have a solid foundation for your army, the sky is the limit. Can't disagree with anything in it to be honest! The only thing I'd really say is that I've actually had some pretty good mileage from the Harlequins Kiss. With 8th edition as it is at the moment there are quite a lot of multi wound models lurking around and the kiss can really help with them. As much as I love Fusion guns dealing with armour and monstrous creatures can be pretty tough for Harlequins if you've not really tooled up. In this situation the Kiss can really turn the tables. Hmm, do you think I should show a 1k pts army with 4 Troupes, 4 Starweavers, 2 Troupe Masters also? This is doable in 1k. I run mostly kisses, as I often need to deal with multi-wound models, vehicles, or models with disgustingly resilience, which the extra damage helps a lot with. With troupe masters nearby, I don't find the extra strength of the caress as useful. The extra ap is fantastic, but damage 1 I find really limiting. I think I'd rather take embraces over caress if I wanted to do damage 1 attacks, for the -3 ap. Personally I always love seeing what lists other people run so I'd definitely be interested in this list. First off, THANKS! I can't believe I hadn't seen this yet. Sorry. It is one of the most informative guides I've ever read on here. If I had the power, I'd promote you higher. I wish I'd thought of this. Of course life happened. Only excuse I have. I hope all potential harli players read this, some kind of star or exclamation point should be attached to this post. Thanks for the time you spent on this, well worth it, again thanks. I've not found anything to add or take away from it except what AP stated. The only add I have is that combining detachments, Aeldari and Drukhari, can really add the punch needed. I've always been a pure player (not mixing armies) but with 8th have found it most valuable especially against unfun players. So I have a special list for when they show up. I digress. I will use your words of wisdom for balancing a fluffy list.